Why is the Denison Pequotsepos Nature Center so Amazing? Due to its picturesque scenery and abundant wildlife, Connecticut is home to numerous parks and nature preserves. This state strives conserve and nurture its natural fauna in every way possible by creating organizations to help support any wildlife in need as well as raise awareness about certain issues in the area. The Denison Pequotsepos Nature Center in Mystic, CT, is one institution in particular that is going to great lengths to ensure that the Connecticut wildlife is safe and able to flourish, while educating the public about the importance of helping the environment. Find out what you can expect to see at this fascinating nature center and make plans to visit! The Denison Pequotsepos Nature Center consists of many amazing attractions. Visit this landmark of Connecticut to browse their natural history museum, explore the ten miles of walking and hiking trails, and observe the Coogan Farm Nature and Heritage Center, a 34-acre farm property that contains additional shelters to protect certain species while bringing the community closer to nature. Here you can also see the Giving Garden, where produce is cultivated by volunteers and donated to food shelters for those in need. You can also request a tour of the Gungywamp, an ancient stone structure that is believed to have been constructed by Native Americans centuries ago. This center works tirelessly, not only to help sustain the surrounding environment, but also to educate the public so they can assist as well. This education is made possible through the many programs and events that the Denison Pequotsepos Nature Center hosts. A few examples are the Women in the Woods (a fun women’s getaway in the Connecticut wilderness), the Summer Nature Camp for kids, and a beekeeping class! Other activities include guided hiking tours, birdwatching walks, ecology classes, fireside storytelling, and much more. 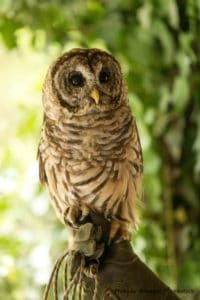 If you want to help support the Connecticut local wildlife, there are many ways you can do so! In addition to becoming a member of the Denison Pequotsepos Nature Center and donating to their cause, you can also help out in the Giving Garden or become a sponsor. There’s also the Adopt-an-Animal program, where you can choose to “adopt” an animal in need to help the nature center with their rehabilitation efforts. Finally, you can attend their Annual Gala to help raise money for the center while enjoying a classy night of dinner and dancing! 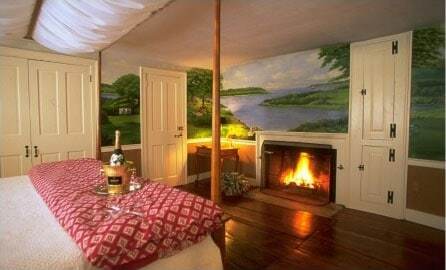 Make sure to stay in the best lodging during your visit to Mystic, CT! 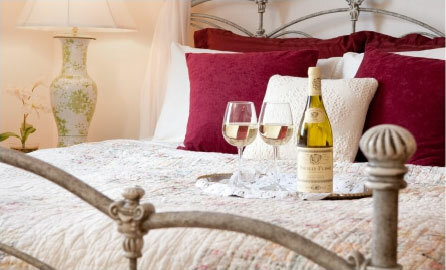 Stonecroft Country Inn Bed and Breakfast offers some of the most luxurious accommodations in our charming haven of the countryside. Each of our comfortable rooms is equipped with the finest amenities; we also provide a hot, homemade breakfast first thing in the morning as well as a cozy sitting room complete with a fireplace- perfect for an afternoon of relaxation. Don’t miss your opportunity to stay in such a beautiful environment; check our availability today! For more things to do near Mystic, download our free Vacation Guide!